Have you ever been shopping for some new supplies, looked at a stamp set, read the sentiments and INSTANTLY needed it? Yup. 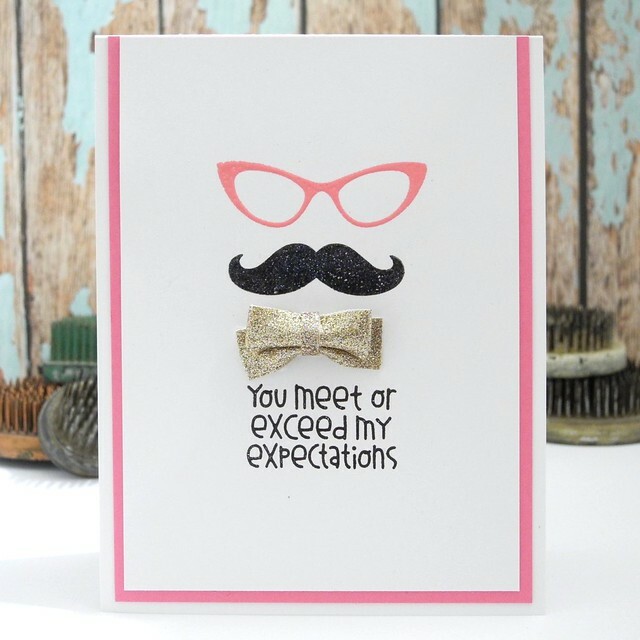 That's pretty much what happened when I saw this Paper Smooches Incognito stamp set hit the Simon Says Stamp store. Therefore, naturally, I bought it. 'Cause that's what we do. We buy stuff. Well, my friends, for the first time in a couple of weeks, I sat down to create and FULLY ENJOYED it again last night. I cannot even TELL you how good that felt. And, I knew I just HAD to ink up this Incognito set. So I did. For reals. YOU GUYS! That sentiment, though. For reals. Seriously. It CRACKS. ME. UP. Maybe it's just because I am a former teacher. Perhaps it is due to the fact that I am married to a middle school teacher who works at a school where grades rarely exist. I don't know. But it makes me laugh. Wicked hard. I also have to alert you to the presence of this Ranger Pink Embossing Powder. I used it for the glasses. You need it. I need it. Well, actually, I don't because I already own it, but, FOR REALS, you guys, it is fabulous. It's pink. And a good pink, at that.I also covered the mustache with a clear glittery powder because: sparkle. The bow is from the Open Book Maggie Holmes collection of Glitter Ribbons. SO CUTE! Yeah, so ... fun. This card is just plain ol' fun. And that's all there is to it. For reals, though. This card is absolutely awesome!! That sentiment is just too hilarious! That sentiment totally cracks me up! 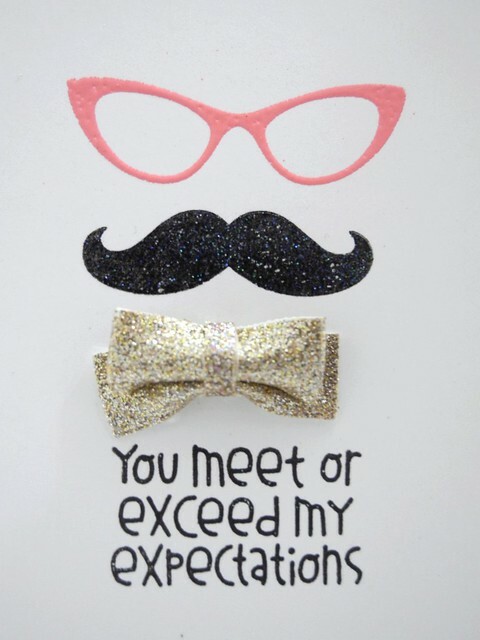 I love this card too, pink glasses and sparkly bow tie are perfect. So glad you were able to create for fun and have fun! Love it!! So much fun and love the glittery embossing!